Surrender at 20: Red Post Collection: Ekko Price Reduction, HUD Update Discussion, Hexakill up until June 8th, and more! This morning's red post collection includes Ekko's price reduction to 6300 IP following his first week of availability, discussion on the recently announced HUD rework, and confirmation that Hexakill: Twisted Treeline will be available on live until June 8th. Last up - It has been a week and, according to the champion price reduction schedule, Ekko's IP price has been reduced to 6300 IP from 7800 IP. Check out the release announcement for more on Ekko, The Boy Who Shattered Time! Before we jump in, be sure to check out the release announcement for a feature overview of the HUD Update and this brief video preview from the PBE. 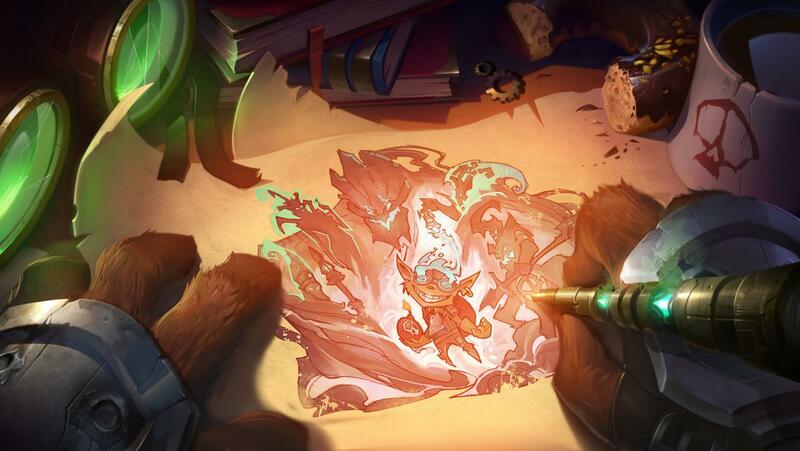 The PBE feedback thread for the new HUD is available here, which mentions the HUD will be on the PBE on 6/3 and 6/4 before being removed as it will NOT be going out in 5.11. "Mentioned this in the FAQ. We are adding additional sliders for more individual control over UI scaling, but we will not be creating a fully modular UI. B/c of setup differences and accessibility needs, we will always provide limited adjustments, but ultimately we want you to play the game, not the UI. The competitive integrity angle is important as well, though it's more relevant to information haves and have-nots. It comes down to this: we want players to focus their energy into playing and improving at the game, not researching and tweaking their UI into an "optimal" state." "Yeah, we heard you guys loud and clear. We still believe in the goals of that change (buffs are still a mess), but we're planning on some optional customization to help clean it up." "Yep. Hover for actual latency, ctrl-f to show fps next to it." "On the scoreboard when you hover over a champ portrait." "Oh, it does. Rearranges your team frames in that order as well." "We've got this feedback a few times internally as well and it's something we'll be tracking over time. The idea was to focus the scoreboard around game info and there were some trade-offs - namely summoner and champion names. However you still have access to that info by hovering over their portraits in the scoreboard." "We are working on having those scale independently than the mini-map so you can make them larger or smaller separate from other parts of the HUD." "In early dev we thought this would be super disruptive, but it ended up being fine throughout playtesting. That said, we'll be watching this one and reacting if needed." "We are considering putting in mana/power bars on the team portraits. Stay tuned for more info regarding that." "Thanks for the feedback and concern around the mana bars. That is something we're tracking for team members to put into development post launch." "^ what he said. Post PBE launch." "Cooldown for team ults is something we're looking into for future release." "We considered this (and you could still eventually see it). Just didn't prioritize the option for launch." "You won't be able to play through it, but we will try some transparency in the store similar to the scoreboard." "DJ Sona will have same functionality as she does now in the current hud. We're working on final placement for her UI now." "For this project we specifically focused on the in game UI (this team's specialty). 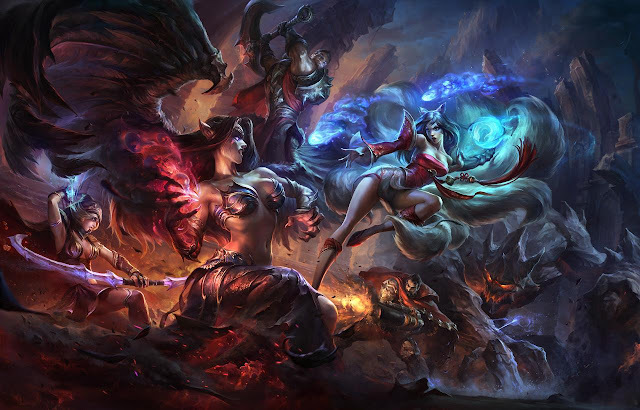 I hear you though about wanting to have an updated look and feel for Champ select though." "Death Recap is actually a system by itself. The HUD is a presentation layer of that info that's collected elsewhere, and was outside the scope of what the team worked on. That being said we think its a pain point to and have it on our radar as things that can be better." "Death recap is a different system; think of the HUD as the front end presentation of the info that another systems collects and aggregates. We do know Death Recap has issues though, so that's on our radar of pain points within the game." "The reason we're not updating Death Recap presentation is that there's a lot of backend data work we need to do to get Death Recap reporting more accurate data first. You can think of it this way - There's the data gathering side and the data displaying side. We've been trying to improve the backend data gathering side to make sure it's accurate before working on the data displaying side - because redoing the display when you still have odd issues like 'Revive does damage' is kind of pointless. I completely understand that the data gathering work is basically invisible to you guys. My apologies - I wish I could provide something a bit more concrete than that but its one of those 'let's do refactor and cleanup work to make something more maintainable' passes rather than something prominent and visible." "Thanks for the feedback! We'll be making changes and improvements throughout the PBE period and this kind of thoughtful response helps." "Indeed we have :) Specifically around having ult cooldown timers in the team members info (above the minimap). It's actually on our radar for features we may put in. Part of putting the new HUD on PBE and keeping it there for a while is to get good feedback from players on what works, what doesn't and what makes sense to add feature wise to improve the experience." Speaking of the HUD Update - Have questions? Join the team for a Q&A on June 4th! "Mon, 8th June @2am PDT."